University libraries are often referred to as the heart of a university. The reason is that the library is a center of knowledge that stores the intellectual property created by mankind and is a place where various wisdom is gained to realize the vision of the future. It is also a place to nurture the dreams of individual young people who will lead the future society, and it is the center of education and research. Today, the world is changing rapidly. I will look back on whether the university library is responding to the rapid changes in the environment. Especially in the 21st century, the internet civilization is demanding radical changes in the role of existing libraries. Access to information has become more diverse, and libraries have become competing as information providers. Kyunghee University Library will make efforts to enhance the accessibility of library users and activate the functions of the library while accepting the changing social environment. We will cope with the changing environment of information technology that transcends imagination, and will create value for the library only. Therefore, we want to be the most intimate and familiar space for you as a complex cultural space that meets information, knowledge, education, research, culture, etc. We hope that you will have the opportunity to acquire knowledge and information for the future and enrich your mind at our Central Library. The Central Library, which opened with the opening of the Global Campus in 1980, is an open access library with one million copies of Eastern and Western collections and more than 25,000 academic journals. There are three resource rooms for each type, such as monographs, domestic and overseas periodicals, and AV materials. In addition, the UN Depository Library and four general reading rooms are operated. In addition, as a specialized branch, the Engineering Library and the Humanitas Library are installed to provide specialized academic information services to Kyung Hee University members. 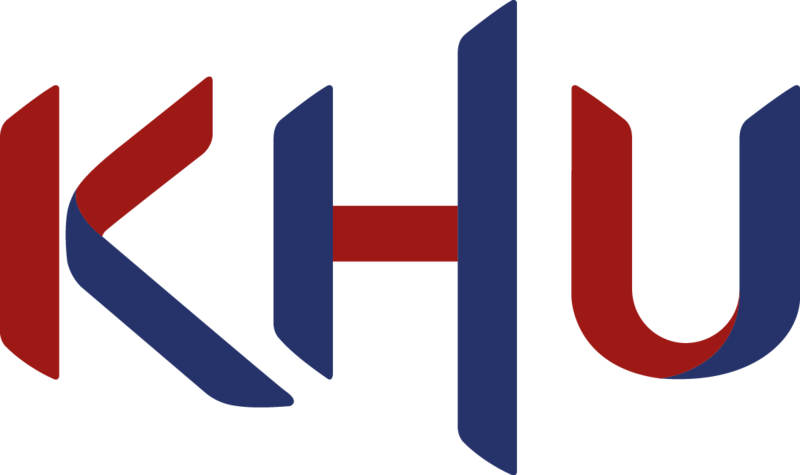 Since its inception, it has been actively promoting e-library projects, offering convenient access to collections and diverse electronic materials through its library information management system called KHIS (Kyung Hee University Information System) And provide personalized services such as application.